Over the years most valuable paintings that have been stolen and gained publicity. on March 18, 1990 thieves stole 13 art pieces from Isabella Stewart Gardner Museum in Boston, Massachusetts, United States. 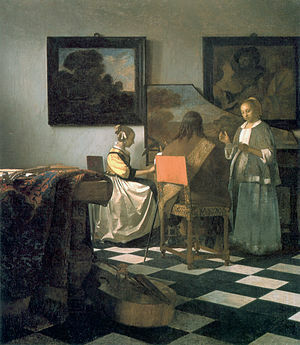 Among the pieces, one of most valuable painting was of Johannes Vermeer’s “The concert”. this painting considered to be the most valuable stolen painting in the world. A reward of $5,000,000 is still offered for information leading to their return.